While most cats hate water, they’re oddly attracted to faucets and sinks. While most cats hate water, they’re oddly attracted to faucets and sinks. When one cat managed to turn on a faucet in the Florida Humane Society of Broward, the facility flooded, resulting in more than $5,000 worth of damage. No one knows exactly which kitty was the culprit, but Humane Society staff suspect a six-month-old female cat who loved to play with the faucets. Somehow the cat managed to turn on the faucet in the cat room and left it running at full blast for 17 hours. Humane Society president Carol Ebert received a call at 7:15 am one morning, alerting her that there was water running out of the facility’s back door. While she initially suspected that a pipe had burst, upon arriving at the shelter she discovered that the running faucet had actually caused the flood. 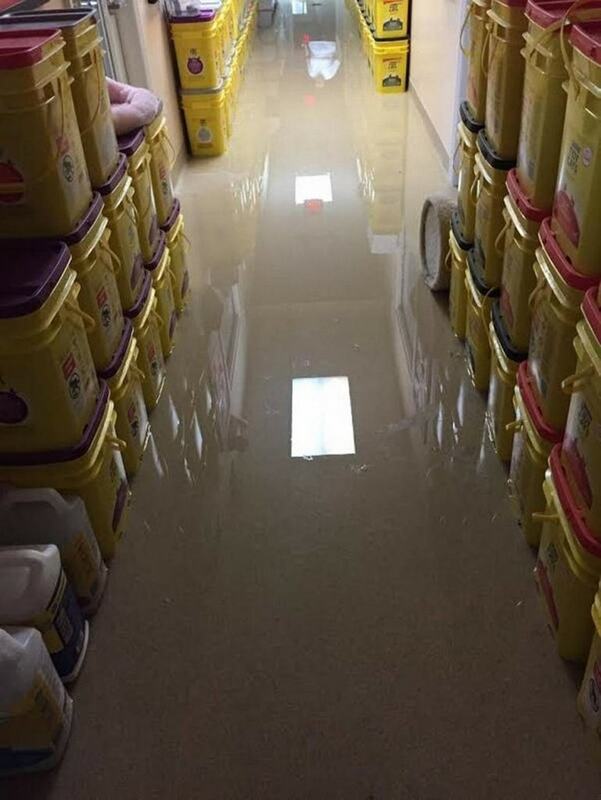 The flood included eight different rooms, damaging floors, cabinets, walls, cat litter, and cat food. None of the 30 cats in the building at the time were injured. The suspected cat has since been adopted, and Humane Society staff did warn the adoptive family that the cat was smart enough to turn on faucets. Clearly someone needs to teach her how to also turn the faucets off after she’s done. With about $5,000 worth of damage and many lost supplies, the Humane Society of Broward is accepting donations. If you’d like to donate, go to floridahumanesociety.org. The shelter will also likely be facing a hefty water bill at the end of the billing cycle. Serves you incompetent twits right for leaving them alone for SEVENTEEN HOURS. Idiots. What is wrong with you people???????? Why was no one there for so long?????? Shame on you!!!! Can”t even believe you admitted that. Wonder what else goes on there??????? Disgraceful!!! !